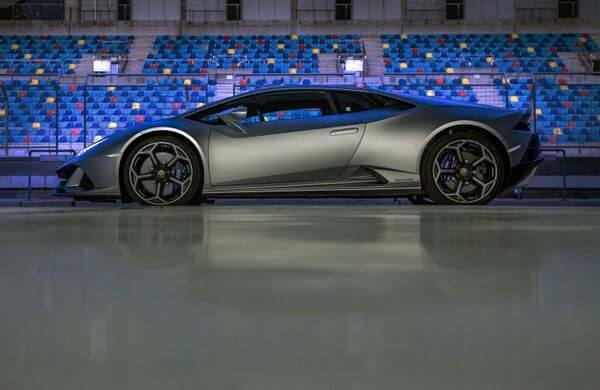 Home » Automobiles-Cars » A New Hurricane Evolution: Lamborghini Huracan EVO First Look! Lamborghini has just revealed the latest generation of Lamborghini Huracan: the Lamborghini Huracan EVO! 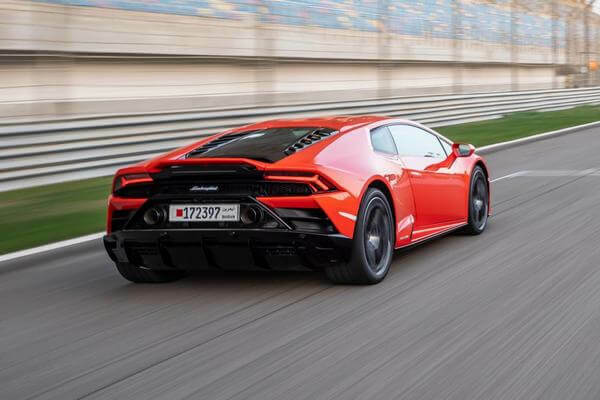 Many people had opportunity to try out this new exciting Lamborghini at Bahrain International Circuit and so far, the impression for this new Lambo is extremely positive. So what does the new Huracan EVO offer? Let’s check it out in this Lamborghini Huracan EVO first look! For quick recap, Lamborghini Huracan EVO is a stepped-up version of the Lamborghini Huracan V-10 line, with an additional 29 horsepower which makes up a total of 631hp. The car also got a number of exterior modifications, but what really makes this car so special is its technological advancement. But before getting such details, we should start with this car’s exterior. For the most part, the Huracan EVO’s styling stays relatively the same like the Huracan Performante. That said; it still has several changes in terms of details. First, the car’s total weight is 40kg heavier than the Performante; however, it does not necessarily mean that the Huracan EVO is slower than Performante (and we will discuss this in later section). Now moving to the front, we can still see the iconic Lamborghini design like the Y-shape styling. At the same time, it also gets some modifications, for example, it has new bumper which features more opening for better airflow and efficiency. Then coming to the side, we can also see the huge opening designed to enhance cooling. Finally coming to the rear, there are quite variety of changes worth noticing like the Performante inspired, super lightweight exhausts which are now moved to the central position. The wing also got significant change: instead of featuring a huge wing like the Performante, the EVO has a much more subtle wing with narrow opening underneath. While the front arguably does not have many significant changes, it is the interior where the changes are featured the most. 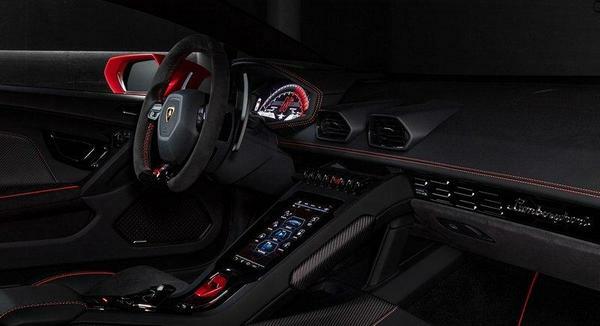 Most of the controls are now moved to the central infotainment screen which looks really modern and “Lamborghini-sh”. We still have the digital rev cluster which will change its display depending on the chosen driving mode. So those are exterior and interior changes, but one important question still remains: how good is the Lamborghini Huracan EVO’s driving experience? Well, if we have to summarize in one word, it is simply… fun. Starting that 631-hp 5.2-litre V-10 engine and we can immediately hear the inspiring soundtrack with exciting burble sounds coming from that superlight exhausts. 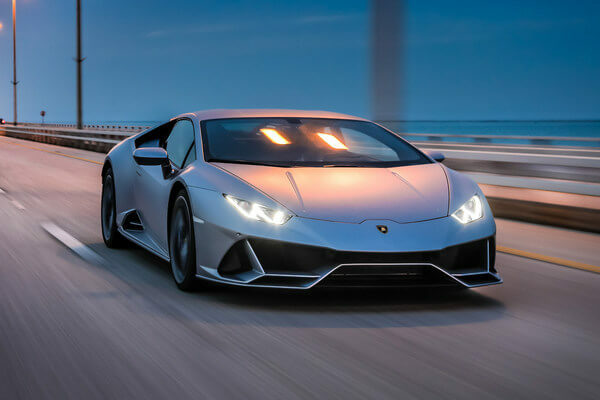 Its performance is not underwhelming either; in fact, it can hit the 60mph from zero only within 2.9sec despite the 40kg heavier than the Performante. Not only that, it is capable of reaching 201mph of max speed, no less powerful than the Performante. In reality, this system proves to be extremely fun to play with, even for inexperienced driver with the Lamborghini. It is noisy and its acceleration simply feels phenomenal. And thanks to the LDVI, the Lamborghini Huracan EVO feels a lot more agile and nimble. 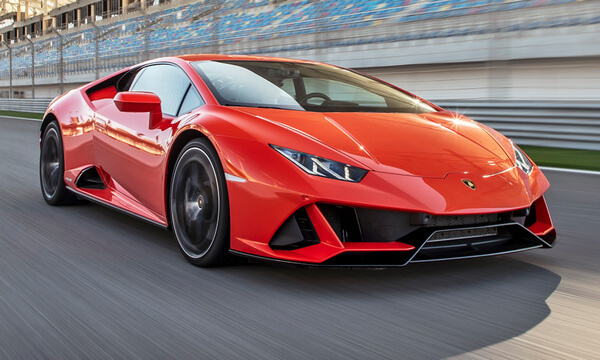 It really gives the driver more confident to enjoy this Lamborghini’s power to the fullest, which stays true to the car’s spirit as an approachable road car. That said, this does not necessarily mean that the car is easy to drive. There is still a learning curve, yet the progress of learning this car feels incredibly fun and exciting. So far, the Lamborghini Huracan EVO has proven itself to be an extremely fun road car for both non-pro and professional drivers alike. It probably still needs some more testing and experimenting but at the very least, many, many people would definitely love to experience what this car has to offer in the near future. And what do you think about Lamborghini Huracan EVO? Feel free to share with us and for now, thank you and stay tune for more news in the future!